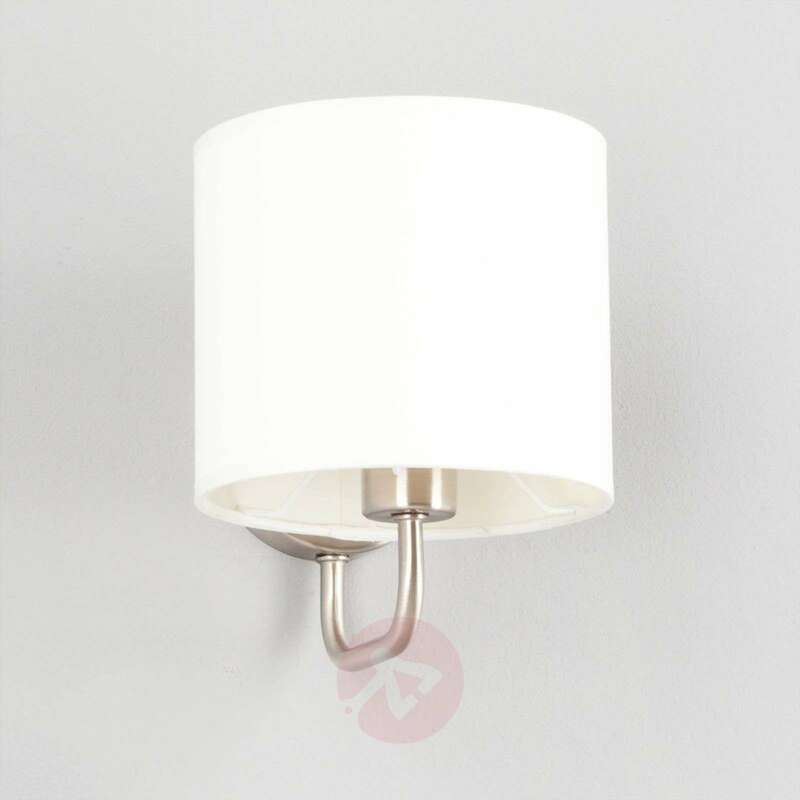 Fabric lights have always been very popular and fabric shades have been an accessory inseparably linked with light and a cosy atmosphere since the beginning of electric lighting. 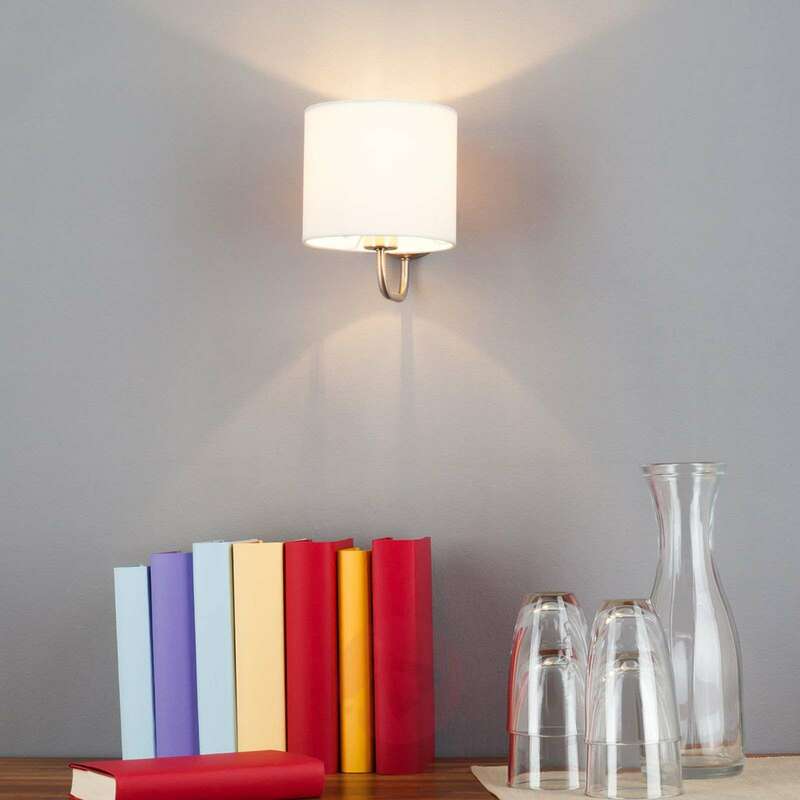 The white bright lampshade in this light allows a major portion of the light to spread out into the room, while clearly maintaining a cosy effect. 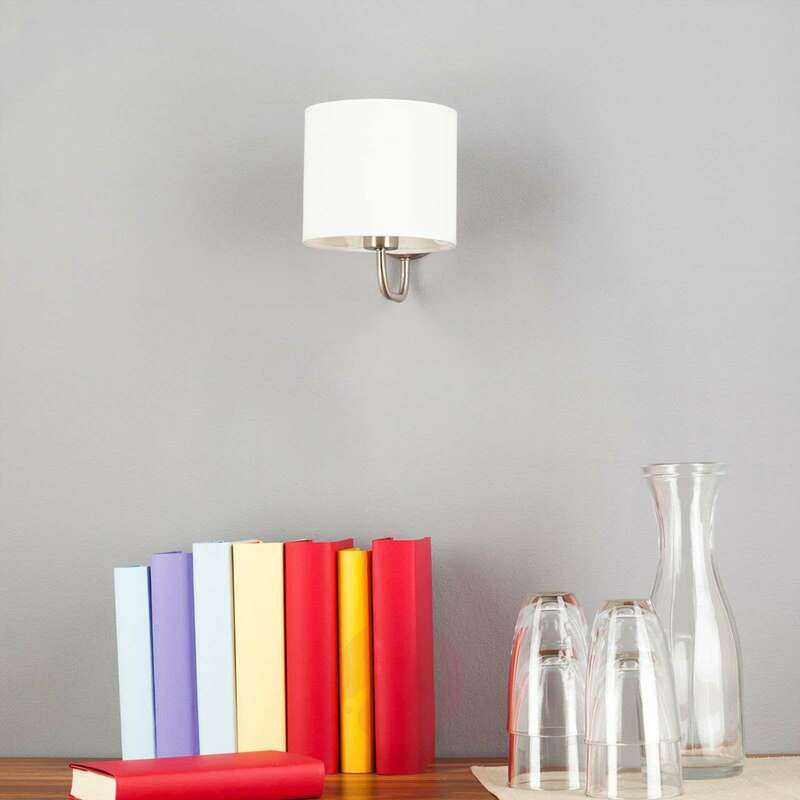 The cylindrical shape and the matt nickel frame give a pleasantly timeless look and suggest that the light would certainly be a delight and a popular light source for years to come. 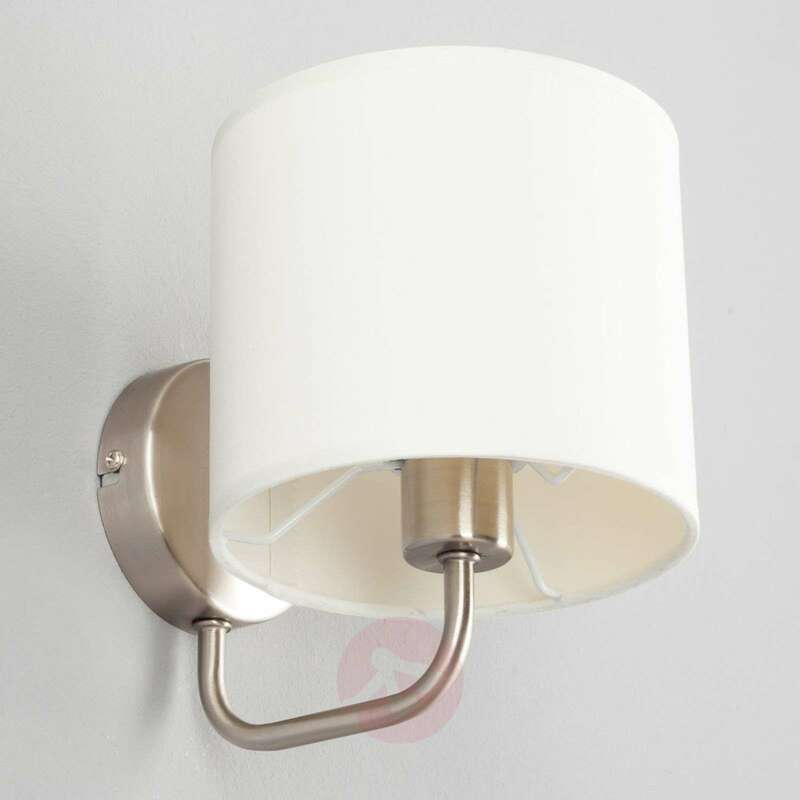 Worth highlighting is also the fact that the fabric wall light is equipped with an E14 LED light bulb, which makes it an even more attractive light source, as this allows high energy-savings when compared to conventional incandescent lamps. 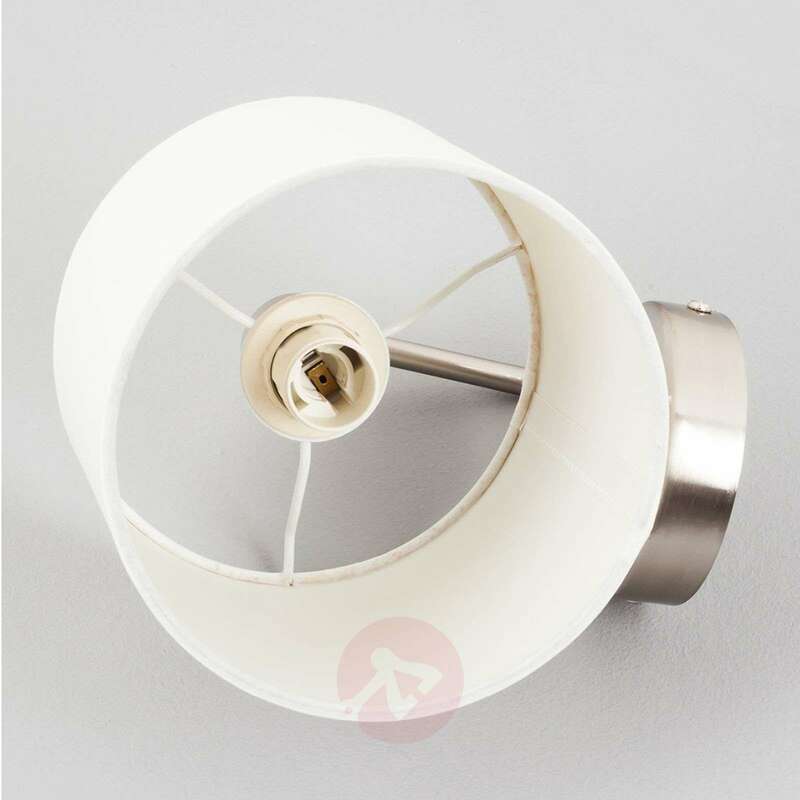 This ensures cost savings for the consumer as well as contributes significantly to environmental protection. 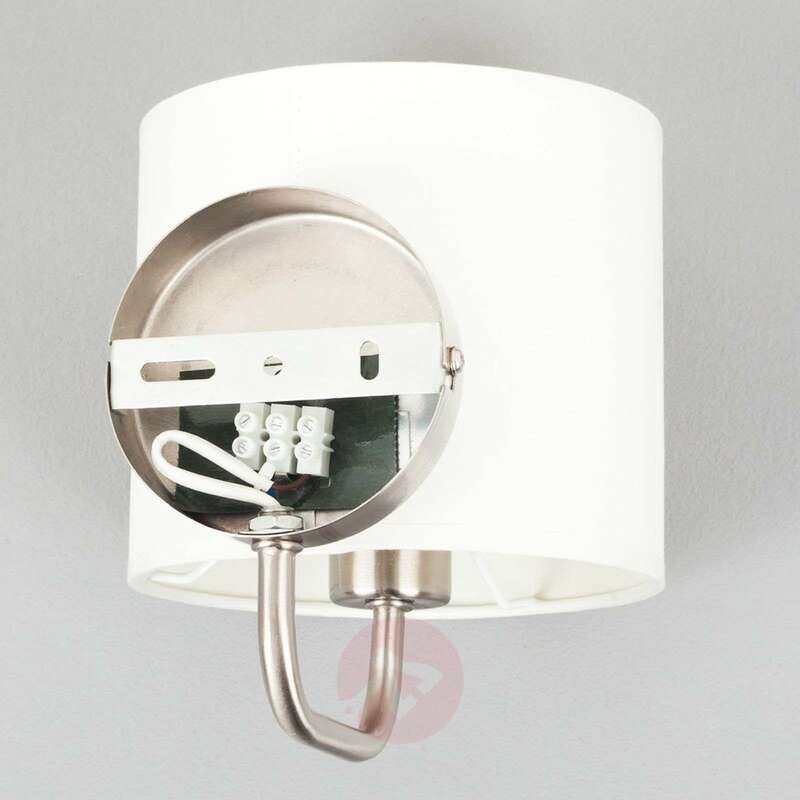 The light fitting can be operated as a dimmable wall light when fitted with dimmable E14 light bulbs and a wall dimmer switch. 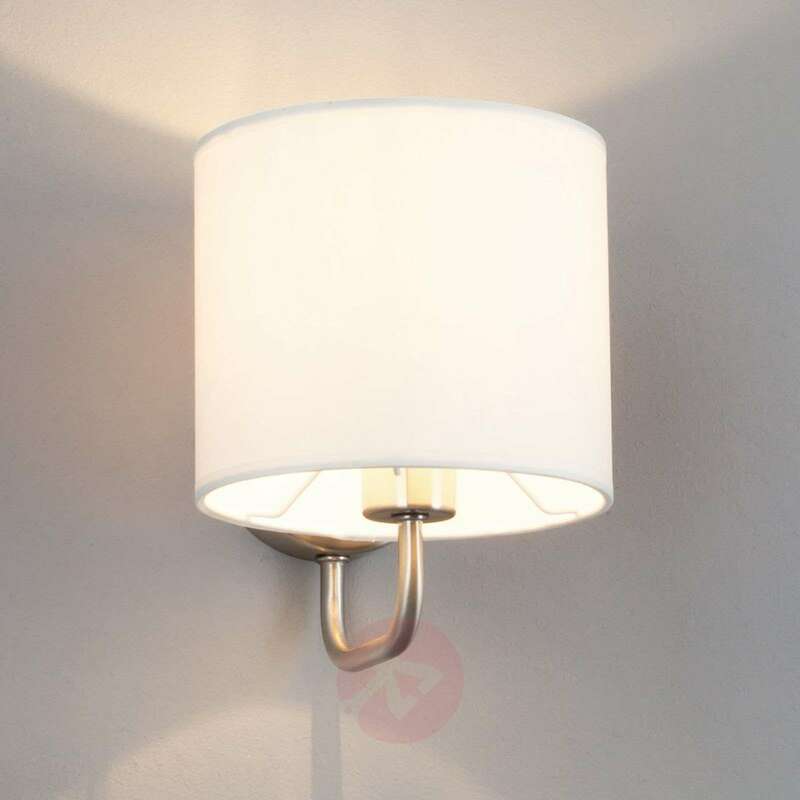 bought 6 of these lights for a hall. Fantastic quality and very soft lighting. excellent price too. would highly recommend.